Herbs have been cultivated and used in cooking for centuries, but the cook's herb garden of the 21st century is a far cry from the formal and ornamental gardens of the past. Most gardeners today don't have the space for a dedicated herb garden, and even if they do, not all herbs thrive in the same conditions. The Cook's Herb Garden Revisited advocates taking a fresh approach to growing herbs by incorporating them in the most appropriate place in the garden - whether it be in the perennial border or by the back door or tap. Providing the best possible growing conditions for each herb means generous harvests and optimum quality for the kitchen. 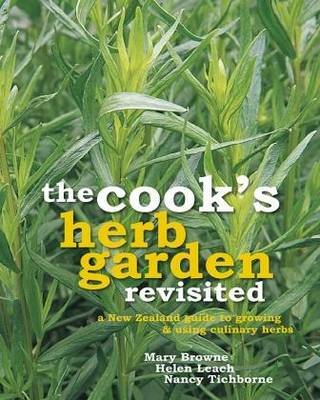 This revised and updated edition of a classic book by these three talented and popular sisters shows how to achieve a varied, year-round supply of herbs and use them creatively in the kitchen. From the familiar, such as parsley and basil, to the unusual, such as perilla and Vietnamese mint, sound and interesting information is given on the history, available varieties, propagation and cultivation, harvesting and culinary uses of over 20 herbs. Numerous tempting recipes will inspire cooks to experiment with herbs in mouth-watering ways.